The Active Accessories pouch is a must have item for any active girl. 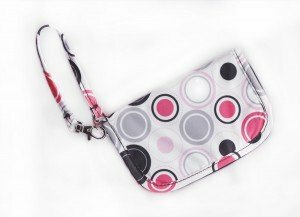 It’s perfect for carrying essentials to the gym or when running errands. It’s also great to throw in a purse or gym back with those certain items that always seem to get lost in the bottom of the bag. The pouches come in cute polka dot designs as well as solid colors. They’re water resistant, light weight and super durable. I was just sent one recently; and I’m really psyched to have something that can hold my keys, IPhone, metro card and cash when I go for a power walk or jog in the park. I’m sure it will come in super handy once my little one arrives too. The hairband bracelets from Active Accessories are also super cute and really versatile. I love that they don’t leave a mark on my wrist–I always have an extra hair band on my wrist and by the end of the day it looks like my circulation has been cut off! 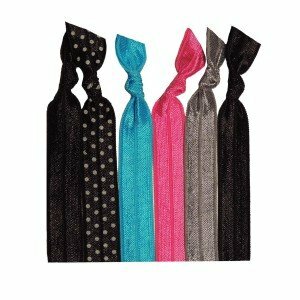 With the on the go hairbands, I don’t get marks at the end of the day, I feel a lot cuter with a stylish bracelet tied around my wrist, and every time I go to pull my hair back with one, someone comments on how great of idea it is. You can buy Active Accessories on their site or Amazon and find them on the social media outlets below. Spring Clean Your Body With These Detoxifying Yoga TwistsI Heart Nail Art Contest with Sally Hansen & My Own Personal Nail Art Creation! thanks for sharing.Active Accessories gave me much help.